Five years have passed since 1,138 people died a senseless and preventable death during the collapse of a garment factory building called Rana Plaza in Bangladesh. 2,500 more were injured. What can you do to help prevent such a tragedy from happening again? Join Fashion Revolution and help us make a difference for the lives of these workers and for the planet by promoting fair fashion. 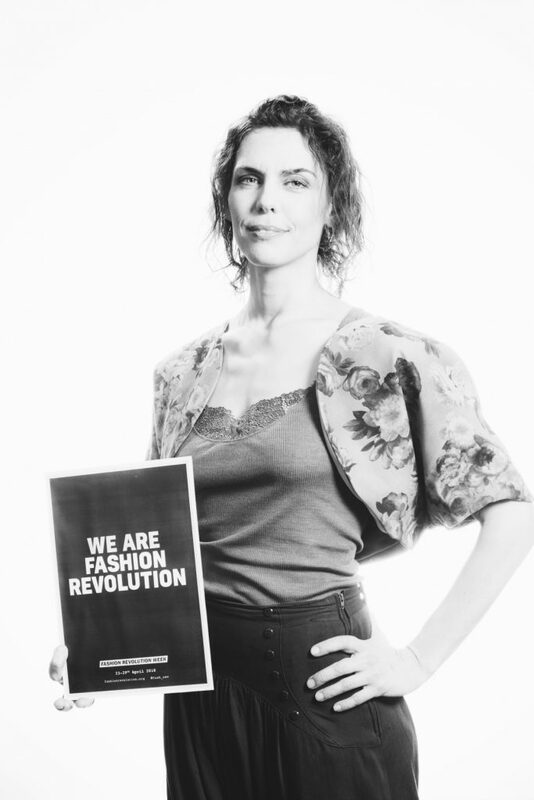 Fashion Revolution is a global movement of people who are coming together to use the power of fashion and demanding that we do better for everyone involved. At the core of the movement is the desire to know more about who made our clothes, how much these workers are paid and what conditions they work in. And as you can guess, this is a true feminist issue: 80% of workers in the garment industry are women between the ages of 18 and 35. They live in poverty, suffer in horrible working conditions, and are often subjected to verbal and physical abuse. Yeah, it’s bleak, to say the least. But we can do something about all of this by becoming more conscious consumers and changing our habits. The speed at which we consume clothes has sped up massively over the last few decades. Trends come out every week and you can find new pieces in store on a daily basis. While manufacturing costs have risen, the prices for our clothes have fallen. This happens on the back of the people producing our clothes. On the one hand, human rights abuses are very prevalent in the fashion industry and the materials used are a huge burden on the environment. Clothes end up in landfills, where they do not just disappear into thin air as you can imagine. It takes a lot of energy to incinerate or transport all of these items. The production and treatment as well bear a huge environmental cost with chemicals used and water needed in order to make these clothes. The current addiction to buying clothes is at the root of the problem. The amount of clothes we buy has increased by 400% over the last 20 years! Yet we throw them away more quickly and they last less because of bad quality. Only by realizing the true cost of fashion, by buying less and better quality clothes can we make lasting changes in our behavior. 1 ) Ask #whomademyclothes: Ask brands to give you more information about how they produce their clothes and who the workers are. This leads to an increased demand for transparency and accountability by showing brands that you care. Tag your social media posts and take a stand. 2 ) Do a ‘Love Story’: Share your story or write a love letter about a piece of clothing. That way you can show that clothes need to be cherished and can stay with you for many years. Show your favorite clothes some love by tagging them with #lovedclotheslast. 3 ) Shop your own closet: #haulternative. You can refresh your wardrobe without having to buy new clothes. Other hashtags you can use to promote fair fashion are #fairfashion #secondhand #sustainablefashion #ethicalfashion #reuse #shopyourcloset #slowfashion #ecofashion #30wears #ethicalstyle #sustainablestyle. 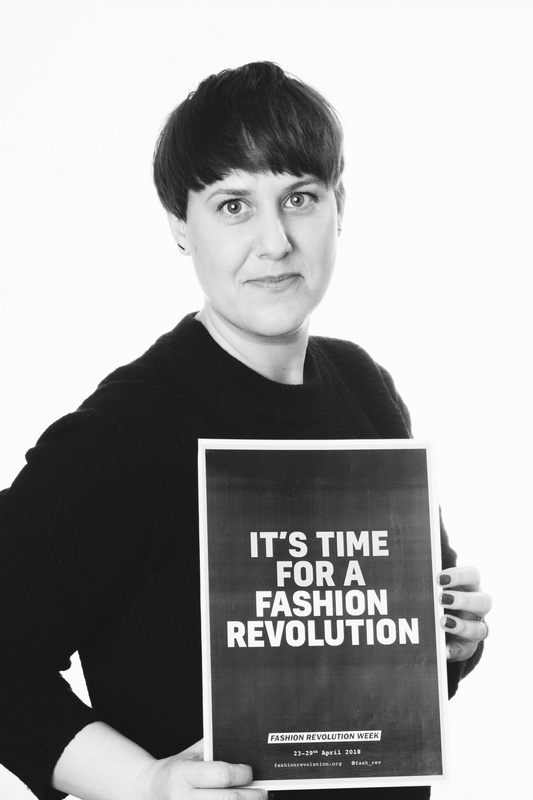 Over the next few weeks and leading up to the Fashion Revolution event in Zurich on April 28th, I will do and write about all of the above and I encourage you to join me! Together we can make a difference. 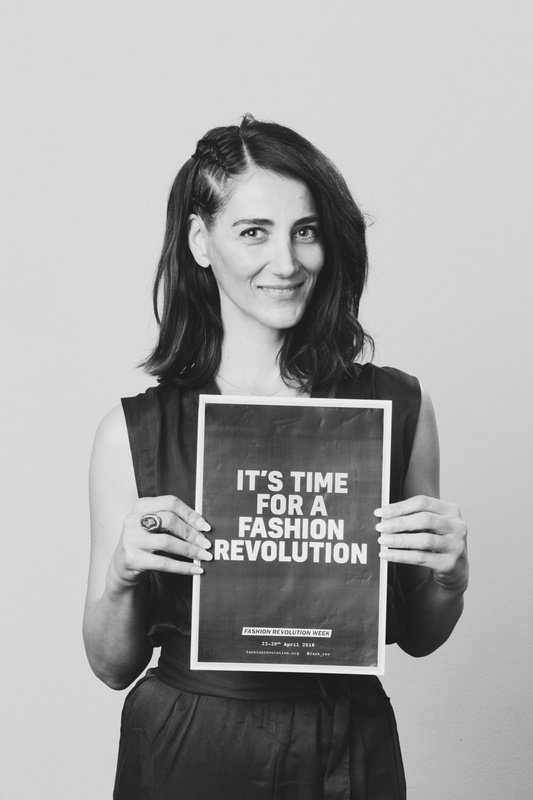 There are events all over the world so make sure to check your country’s Fashion Revolution website. I had the pleasure of attending a blogger event organized by the lovely team behind Fashion Revolution Switzerland. This is a group of dedicated individuals who put their time and effort into organizing events and bringing people together in the name of fair fashion. We got together to take pictures and talk how to best raise awareness about this very important issue. I was lucky enough to get to know some pretty inspiring ladies and chat about sustainability, green living, and mindfulness in the blogger world. I really value connecting in person and talking to one another about what moves us, how we can do more and most of all, how we can help each other in further spreading our messages. Any movement is only as strong as the individuals who are part of it. Another inspiring human is Corinna Mattner from Romy Hood. She turns existing pieces of clothing or fabric into new favorite items for you to love. Secondhand has never looked so good. I loved her Asian inspired vintage short on display at the event! 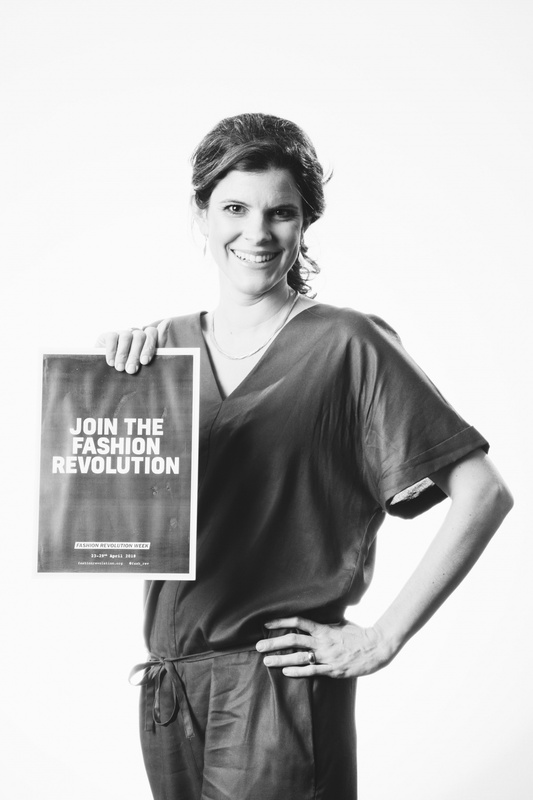 She is part of the organizing team behind Fashion Revolution Switzerland. And last but not least, I chatted a little with the lovely Doris Abt. She is a certified environmental consultant and helps companies and institutions create greener processes. She currently is also spreading the word about the stinging nettle and its amazing qualities as a locally available superfood. You can find more information on how to use this plant here. I hope to get to know the other people behind Fashion Revolution Switzerland and fellow bloggers even better at a future event and create lasting connections as we continue on this path of sustainable living together. Thank you everyone for organizing and inviting me to the event and keep on being awesome! Now, let’s go do something and start a Fashion Revolution, shall we?